KKTBM recording artiste and hip-hop connoisseur Yung6ix premieres a stylish 2-in- 1 video for Notice & Before I Go Broke. Two big songs off his recently released debut album 6ix O’Clock to the delight of his teeming music fans worldwide. Directed by talented Unlimited L.A. The video features cameos by Oritse Femi, YC and music producer LayLow. 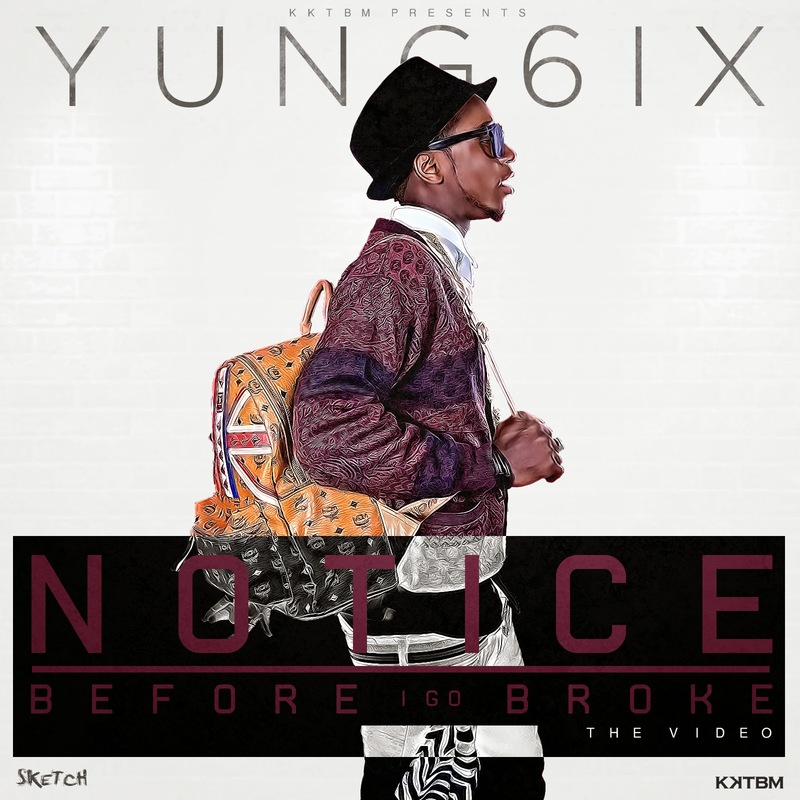 ‘Notice/Before I Go Broke’ is one of many visuals lined up for release by KKTMB and Yung6ix. Download,Watch, enjoy and share.